Removable Labels: These labels are designed to be removed from the surface they are applied to. The labels will adhere to most dry, clean surfaces. The benefit of this label is that the label can be completely removed from the surface without damage to the surface or excess adhesive residue/ label flaking during the removal process. Permanent Labels: These labels are designed to be non-removable. Ideal for application where the label needs to withstand a long amount of time on a surface and where the label cannot be removed with out being damaged. Shipping a box, warehouse signage or asset tracking are a few applications where a label with a permanent adhesive would work best. High-Tack Labels: These labels are designed to also be non-removable. However, the difference is that these labels can withstand higher levels of abrasion, outdoor environments (water and UV resistant) and locations where the label may come in contact with chemicals. All-Temp Labels: These labels can be used in several different applications where the labels may be moved from a hot to cold location. Moving inventory from a cold climate to a hot climate is an ideal application for this type of label. These labels are not intended for extremely high temperature applications. High-Temp Labels: These labels are designed to be used in environments or applications that may expose the label to extremely high temperatures. Choosing the proper adhesive is crucial to the success of the label. 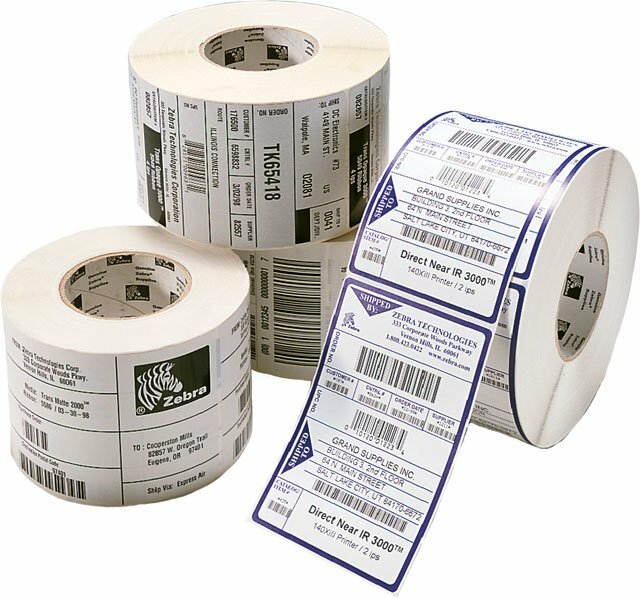 Reach out to your knowledgeable BarcodesInc sale representative for more information on which label is correct for your application.